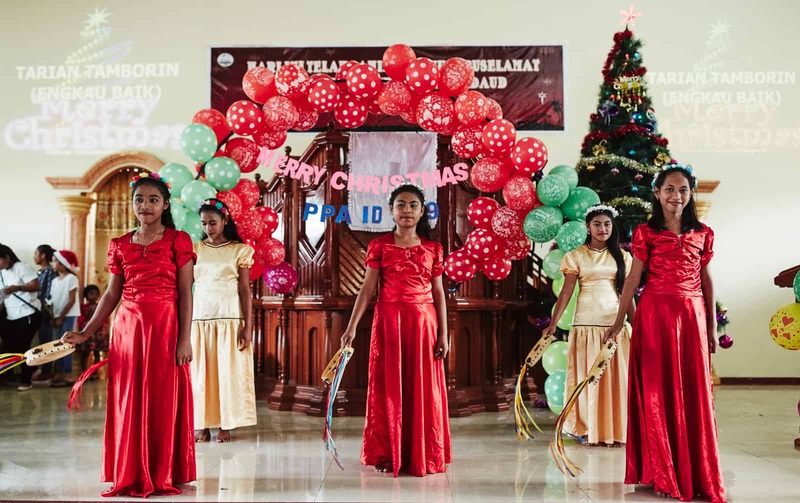 This month, our 6,800 local church partners in 25 developing countries are having joyful Christmas celebrations. 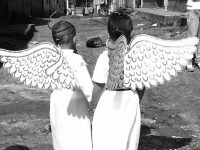 Many of the children, staff and volunteers dress up and participate in performances. There’s dancing and singing and animals and acting! It’s a huge family affair. 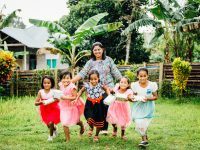 While not everyone celebrates the birth of Jesus this time of year like we do, Christmas traditions vary from family to family as well as culture to culture! Travel the world with us as we explore unique, quirky and wonderful Christmas traditions across the globe! On Christmas Eve in Haiti, children place their newly cleaned shoes, filled with straw, under the tree on the porch. They hope that Santa (called Tonton Nwèl) will remove the straw and put presents in and around the shoes. 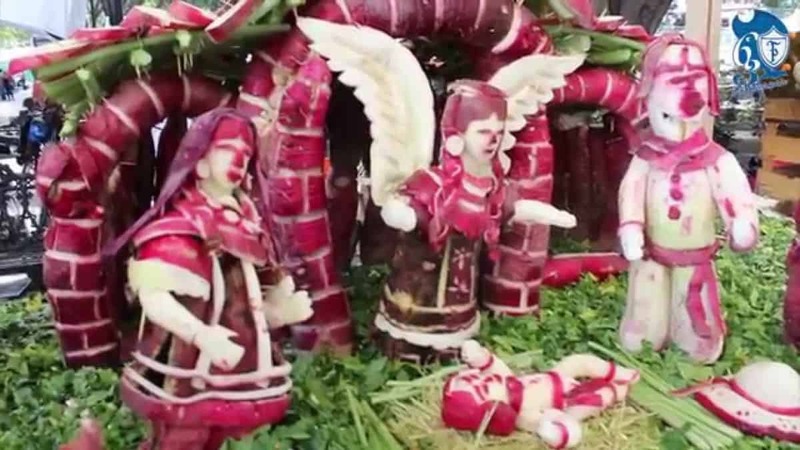 The Night of the Radishes (Noche de Rábanos in Spanish) is an annual event held in the city of Oaxaca, Mexico, where people carve oversized radishes into nativity scenes, with the best ones receiving prizes. Christmas trees in Indonesia are normally artificial ones made of plastic. But another special type of Indonesian Christmas tree is made from chicken feathers, handmade by the people of Bali. These feather trees are exported to countries around the world. Ethiopians follow the ancient Julian calendar, which means that they celebrate Christmas on Jan. 7. Families dress in white garments called shammas that they wear to Christmas services. Children in Brazil receive gifts from Papai Noel on Christmas Eve. 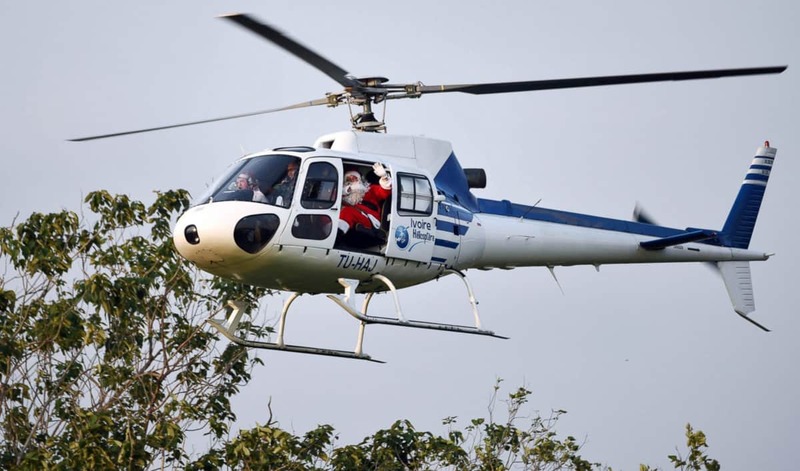 With no use for chimneys in the tropical climate, they believe Papai Noel enters via the front door, and travels via helicopter rather than a reindeer-drawn sleigh. In Kenya, Santa doesn’t arrive with his reindeer but instead rolls into town on an SUV, camel or a bike. 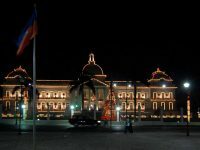 There is no such thing as a “silent night” during Christmas in El Salvador! The streets are filled with children burning firecrackers, and as the night goes on the sparklers move on to large Roman candle displays. 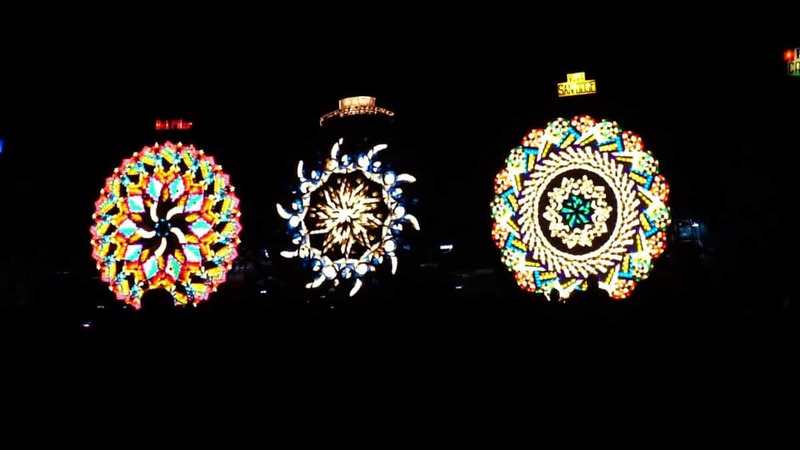 The Giant Lantern Festival (Ligligan Parul Sampernandu) is held each year on the Saturday before Christmas Eve in the city of San Fernando – the “Christmas Capital of the Philippines.” Eleven villages take part in the festival and competition is fierce as everyone pitches in trying to build the most elaborate lantern. 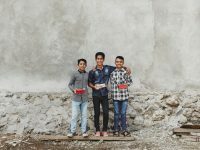 All around the world this month, 1.8 million children living in extreme poverty will receive a gift. A gift from someone that says, “I see you. You are loved.” We think it’s the most unique family tradition of all. A simultaneous outpouring of generosity at Christmas from sponsors and donors from dozens of countries to millions of children! What crazy, silly or wonderful Christmas tradition do you and yours use to celebrate every year? Share in the comments below! family around the world to yours! When my kids were young I would set up the Nativity scene on the floor under the Christmas tree without the Baby Jesus. During the Advent season I had a little box of straw. When I saw my children being kind, loving, generous, thankful, etc. I would affirm these characteristics (one’s that Jesus gives us) by giving them a piece of straw to lay in the manger for Baby Jesus. We would be preparing our hearts, and his bed, the whole Advent season. We went through a great Focus on the Family resource of daily Advent reading every night – that was a very special time. On Christmas morning they would look for Baby Jesus and we would find him and place Him in His bed of straw, we would then read our Christmas morning Advent reading. Then we would open gifts, one person at a time. Now that they are all grown I still leave the Baby Jesus out of the Nativity scene until Christmas morning. We now draw a family member’s name at Thanksgiving to give a gift to. On Christmas morning the gift giver reveals who they are. Before the recipient opens their gift the giver tells them what they love about them, and gives a blessing for the next year. As our family grows older our traditions change, but still hold deep meaning and exalt the Ultimate Gift Giver! We love to attend the candle light service on Christmas Eve at our church. We start with one Candle being lit and watch the single light spread around the room to thousands of people to light the room. Celebrating the silent night when our Savior of the World was born. We also like to be pick a word for the year that we are believing in Christ for. Our family word this year is TRUST. Praying for all in the coming year. May 2018 bring Joy to your hearts. Karen I like yall’s tradiotn of baking a cake for Jesus birthday.Merry Christmas. Living on the West Coast, we had a Christmas Eve tradition of eating fresh Dungeness crab. On Christmas morning we enjoyed cream cheese, lox and bagels. Our Christmas tradition was all about family. A tree, gifts and a meal and lots of fun together. Now that the Lord is with me Christmas is about the Lord. Our family has some really weird family traditions. From oyster stew on one side of the family to a thin potato soup with cheese and ham mix ins, our Christmas Eve always focuses on the food and family. Growing up, we had fiskerballers for Christmas day breakfast – a lightly fried cod ball served with a thick gravy, and we had grapefruit and pastries. Oh, and Mom and Dad always kept the good gifts for themselves. Santa gave us socks. We bake a birthday cake for Jesus’ birthday every year at Christmas! We also bake a Birthday Cake for Jesus and light a candle that looks like a star on the cake then sing “Happy Birthday Jesus” as a family every Christmas. This year my 18 yr old daughter made the cake bundt style but what I love is that this tradition is one she likes and more than likely when she marries and has children she will also do with her family and that is what makes it a real tradition.